I’ll admit it: when my kids were little, I found myself OUT OF MY MIND BORED about 50% of the time. 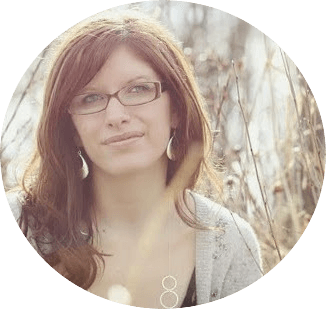 I was always happy when we had actual things we needed to get done – things like eating, taking a bath or running an errand. But the remaining time was hard for me. What do you do for 12+ hours a day with a child who can only stay occupied for 5 minutes at a time? (and only when you’re actively entertaining him). But this takes up, what…3 hours a day, optimistically? 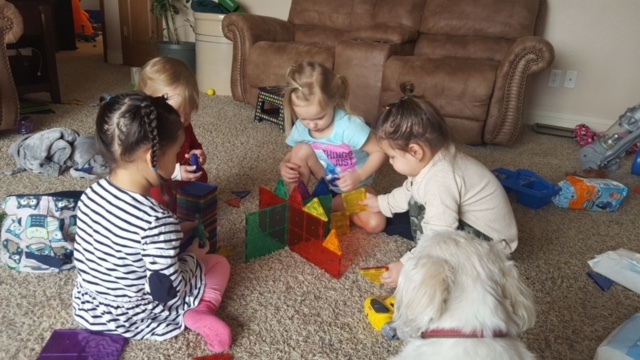 This is why I reached out to the moms and dads in our private Facebook support group and asked: What activities do you do with your baby or toddler that ACTUALLY keeps them occupied during the day? Following are some of the best responses along with super-awesome pictures to inspire you! 1. 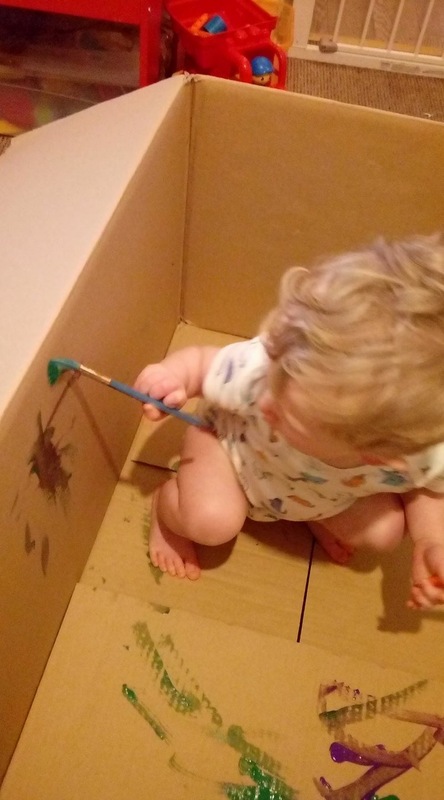 Let your toddler Paint INSIDE a cardboard box. I’m not sure which toddlers prefer: being inside a box or making a mess. Now you don’t have to choose! 2. Create your own indoor ball pit. 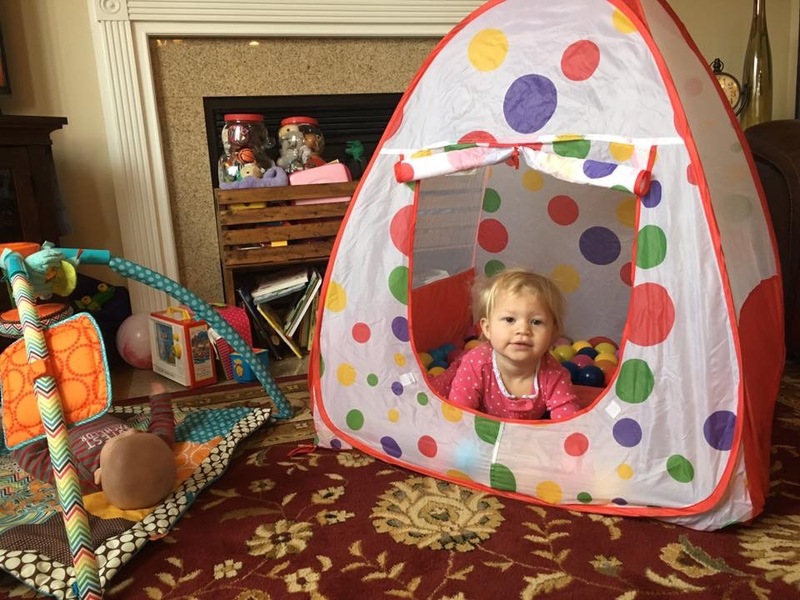 You can use a tent, playpen or even small inflatable kiddy pool as your base. 3. 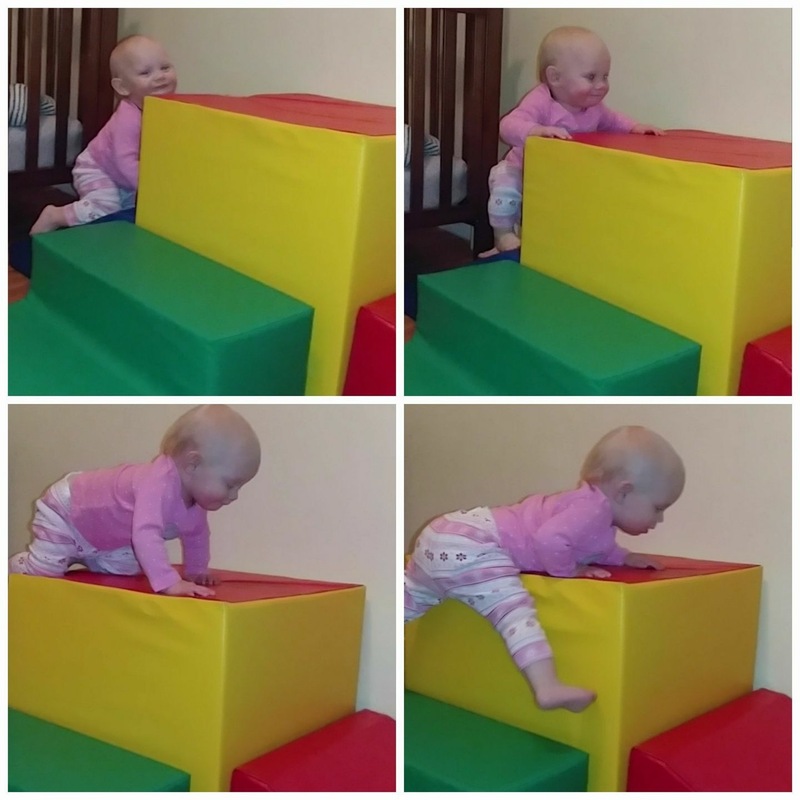 Get a foamnasium for your little one to climb and jump off of on cold or rainy days. 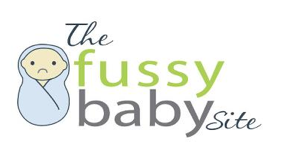 They can be pricey, but one of our readers suggests checking out your local Craigslist or Once Upon a Child consignment store. 4. 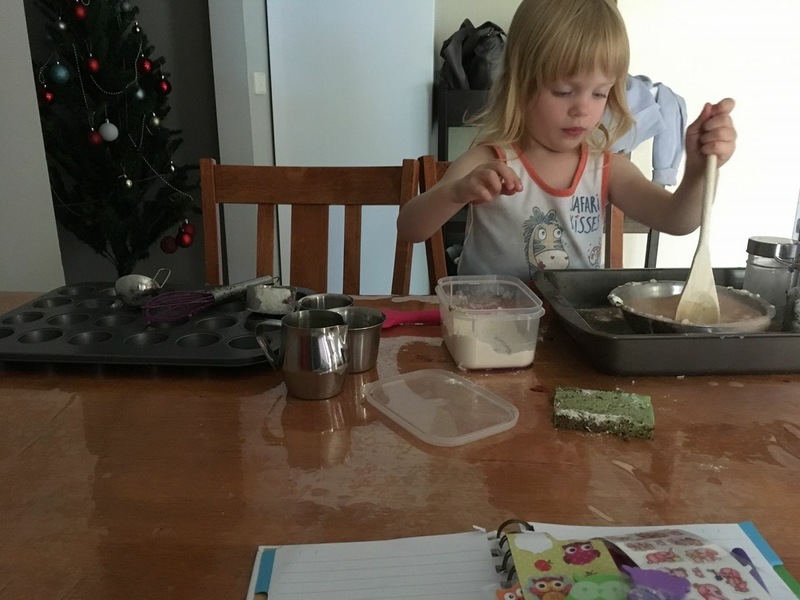 Set out a bowl of flour, a bowl of water, a baking sheet, some scoops and a whisk. 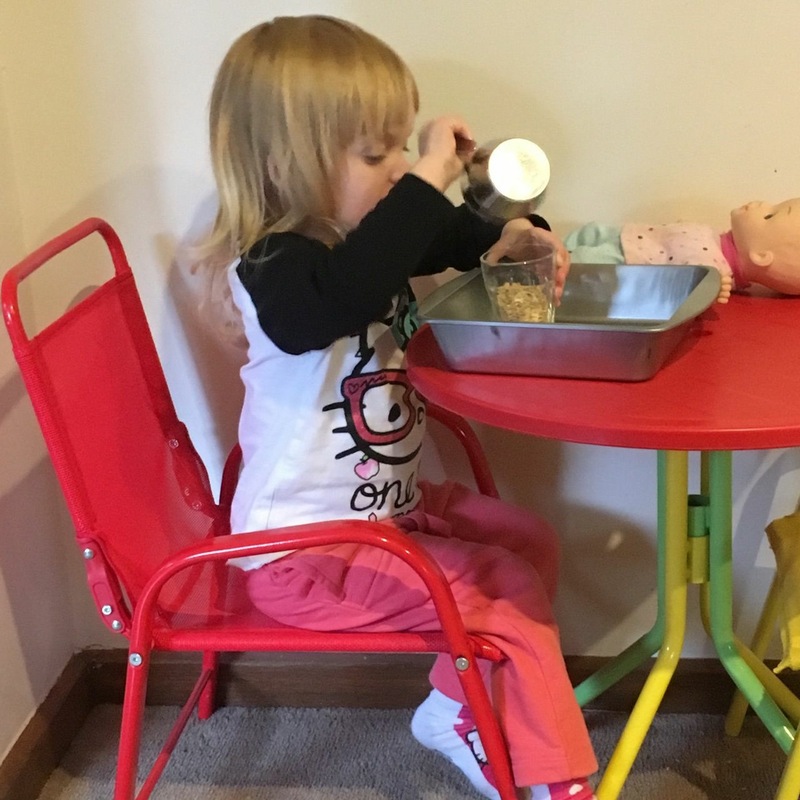 Encourage your toddler to “cook” to her heart’s content! 5. Invest in a learning tower. 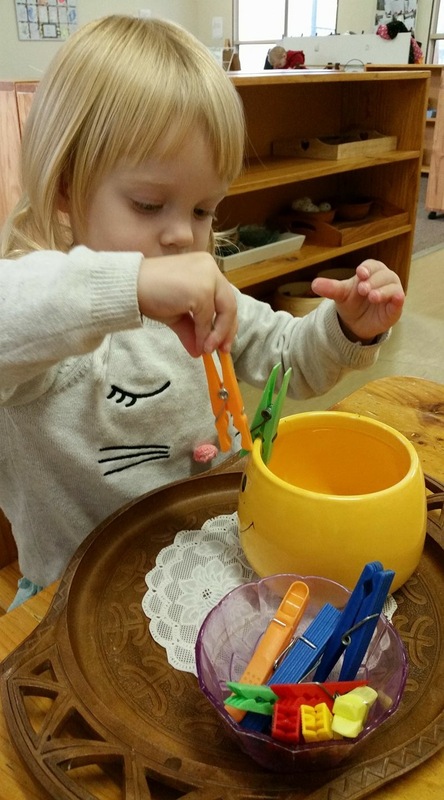 Some toddlers are only content when they can see what mom or dad is doing at the counter…a learning tower helps them do this safely. They can be pricey, so troll your local Craigslist or garage sales, or as one of our moms did – build your own! 6. 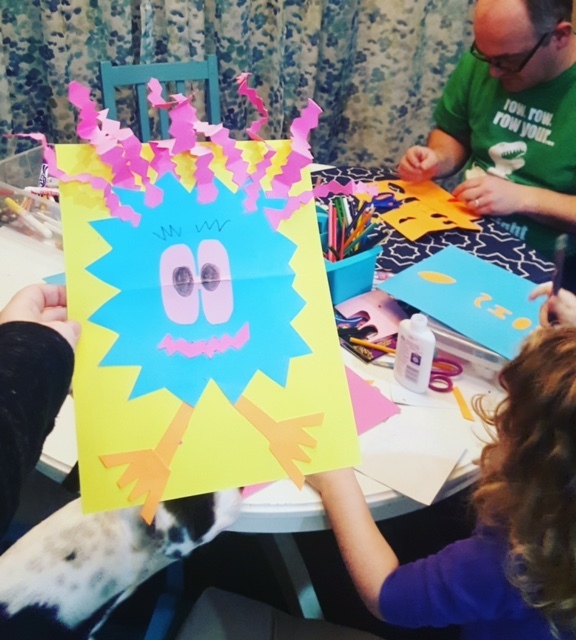 Create a simple art box with crayons, pipe cleaners, glue sticks, pom-poms, etc. You can even include markers or paint if you dare! Lay plastic wrap across the table to keep the table clean and the mess (kind of) contained. 7. Set out some MagnaTiles and let the creative juices flow. One of our readers suggested buying an off brand version to save a few bucks. 8. 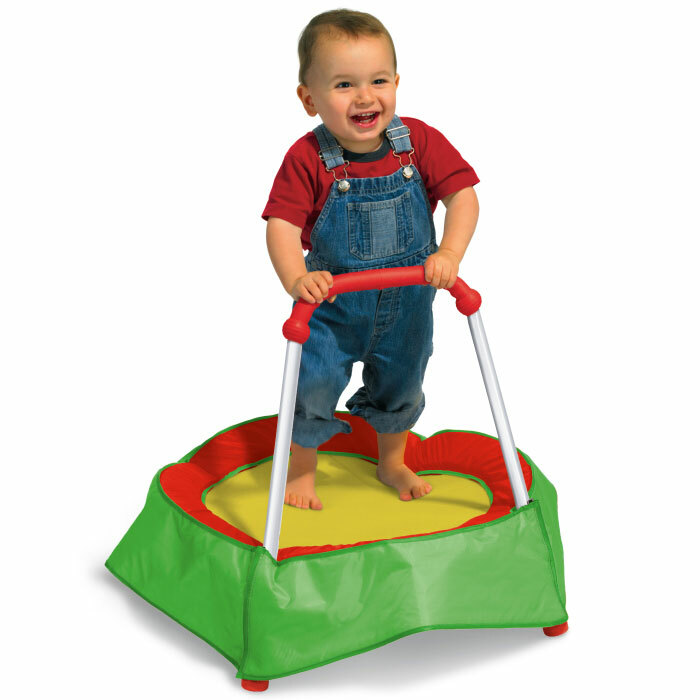 A mini trampoline can provide a restless or energetic toddler with hours (ok – 10’s of minutes) of entertainment. 9. Set out a baking pan, a small jug and a cup of rice. 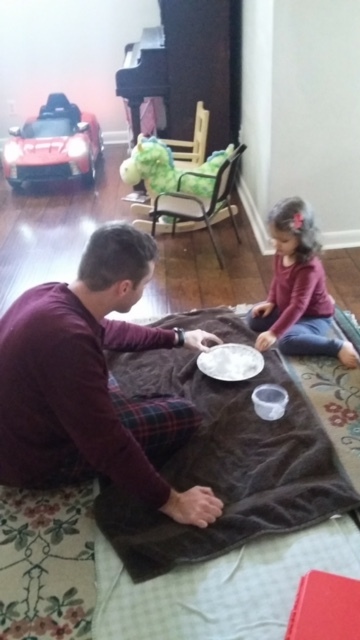 Encourage your toddler to pour the rice back and forth. You could also substitute pebbles or sand if you wanted to turn this into an outdoor activity. 10. 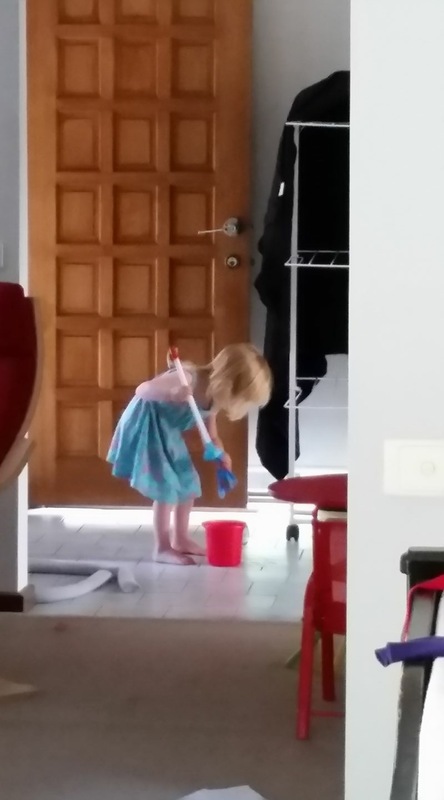 Give your toddler a mini mop and bucket (with just a bit of water) and encourage her to clean the floor. Hint: This works even better outside in summer where you don’t need to worry about spilled water! 11. Set a few garbage bags on the kitchen floor and give your toddler a few cans of playdoh. Why play with it on the table when you can play with it on the floor? 12. Invest in the Fisher Price Sit Me Up chair. 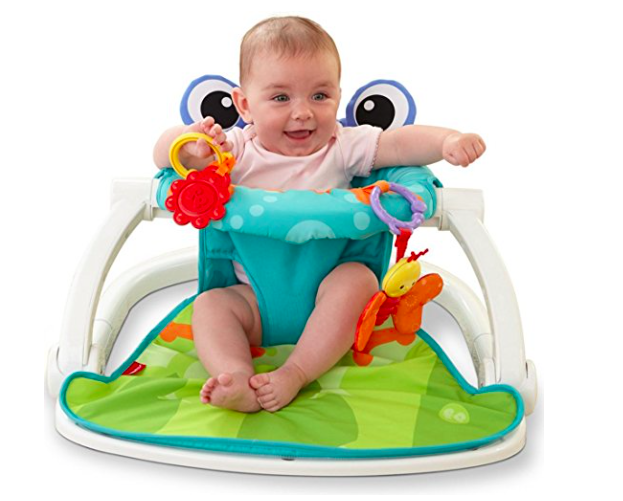 Many of our parents LOVE this thing for when their baby isn’t quite ready to sit up on his or her own. 13. 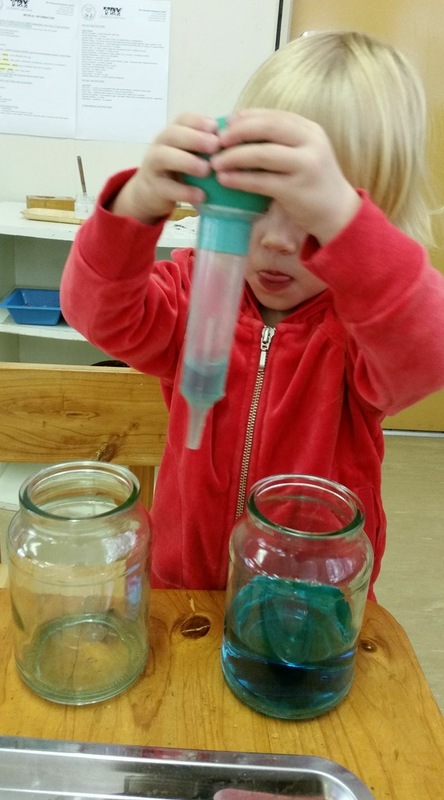 Set out a turkey baster and several clear jars or tupperware containers full of coloured water. 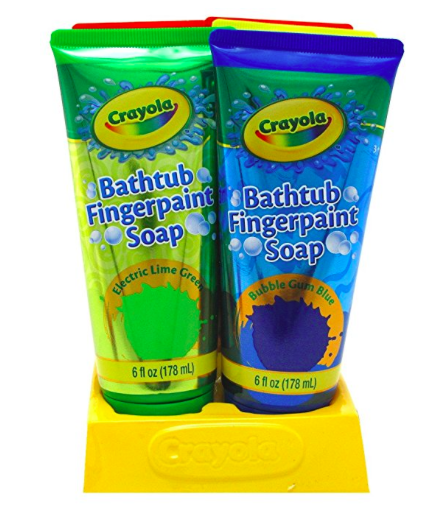 Encourage your child to mix colors and create NEW colors. 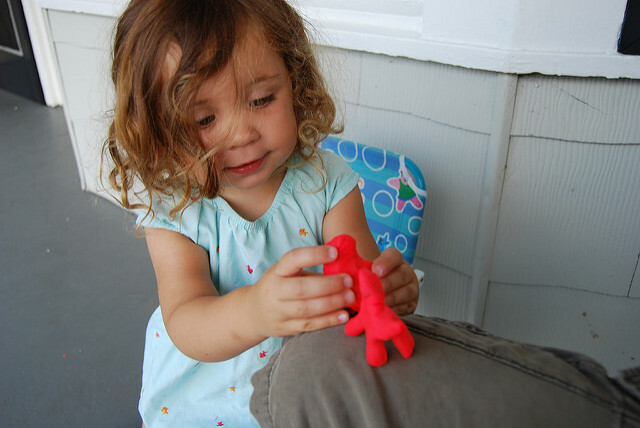 For more “rambunctious” toddlers, this is a great bathtub activity! 14. Bath paint! Why take a plain old bath (which makes you clean) when you could take a dirty-bath? 15. 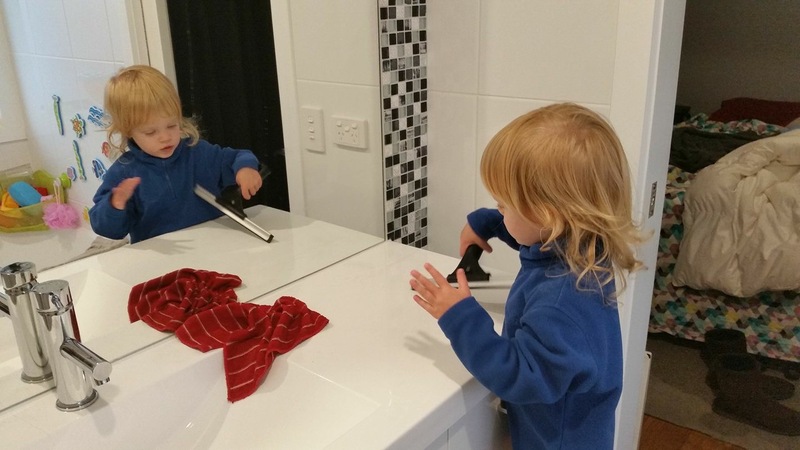 Give your toddler a squeegee and a spray bottle and ask her to wash the bathroom mirror, counter or window. 16. 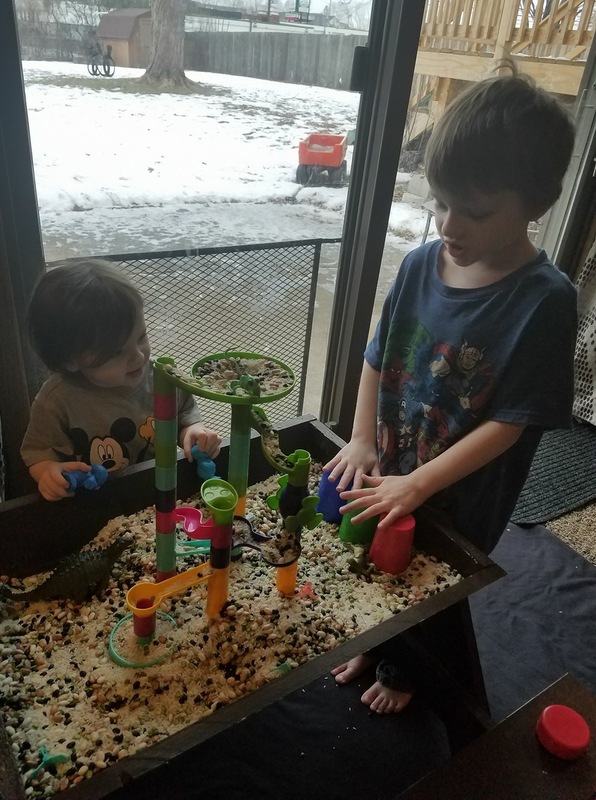 Create your own sensory table using a sandbox with a lid. Fill with rice and a variety of dried beans for hours of fun! 17. Put all your baby’s toys in a basket and let him pull them out. 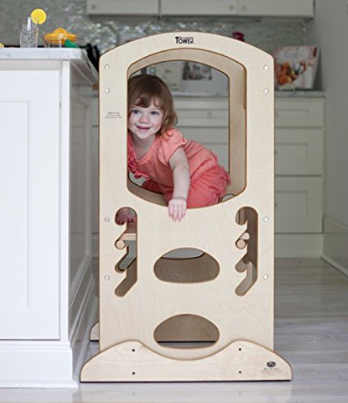 This works especially well if your child isn’t particularly interested in playing with the toys themselves. Sit with him and when the basket is empty, fill it back up (no one ever said parenting was easy). 18. 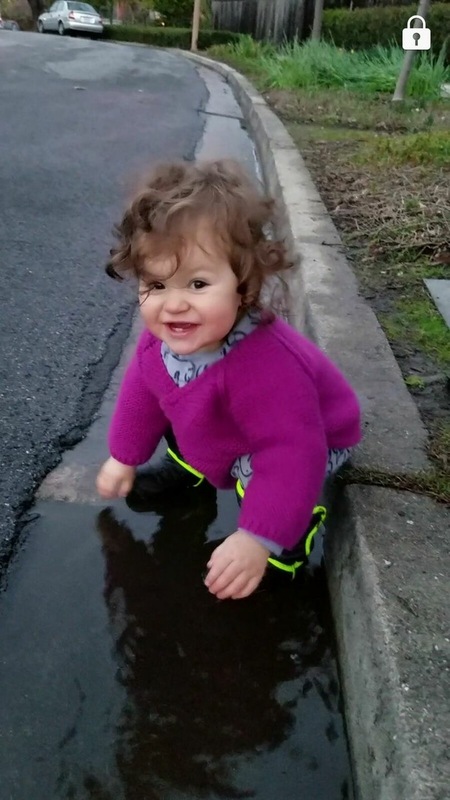 Playing in puddles. Hasn’t rained for a while? No problem. Use a bucket or hose to create your own puddles and let him go. Trust me, that 15 minutes of wet-fun is worth the clean-up! 19. 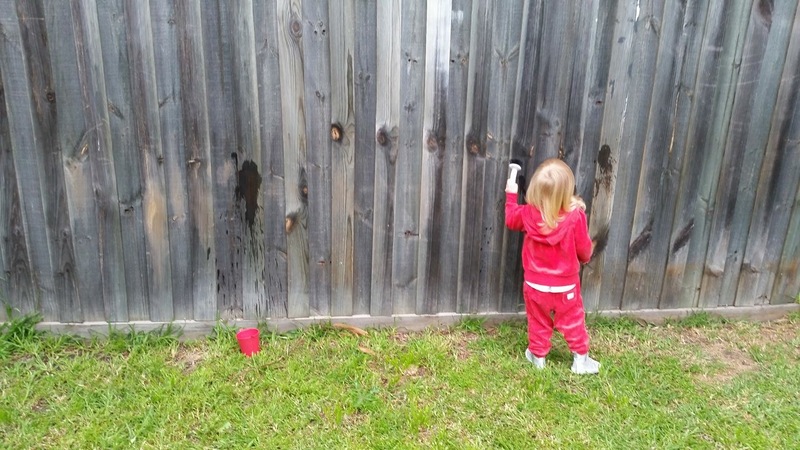 Give your toddler a scrubbing brush and some water and ask her to clean the fence. Alternatively, you can give her a paint brush and ask her to “paint” the fence or house. 20. Involve your baby or toddler in helping with laundry (but expect it to take at LEAST 10x as long). 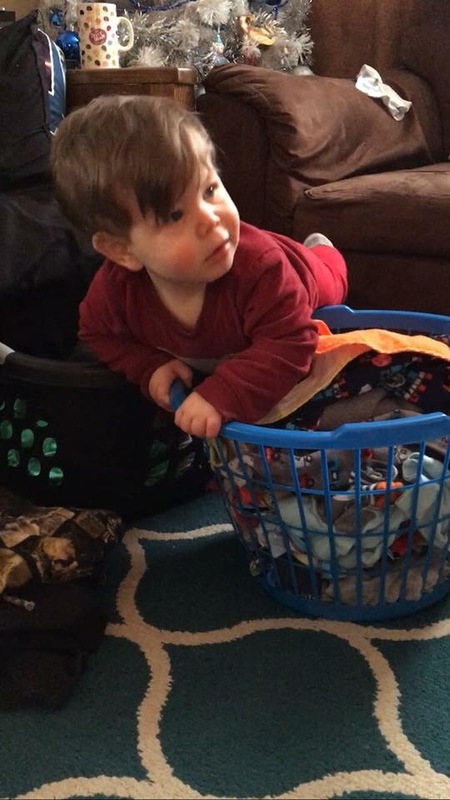 Let him climb over the clothes, play peekaboo in the towels, and dump the basket out (again and again). 21. 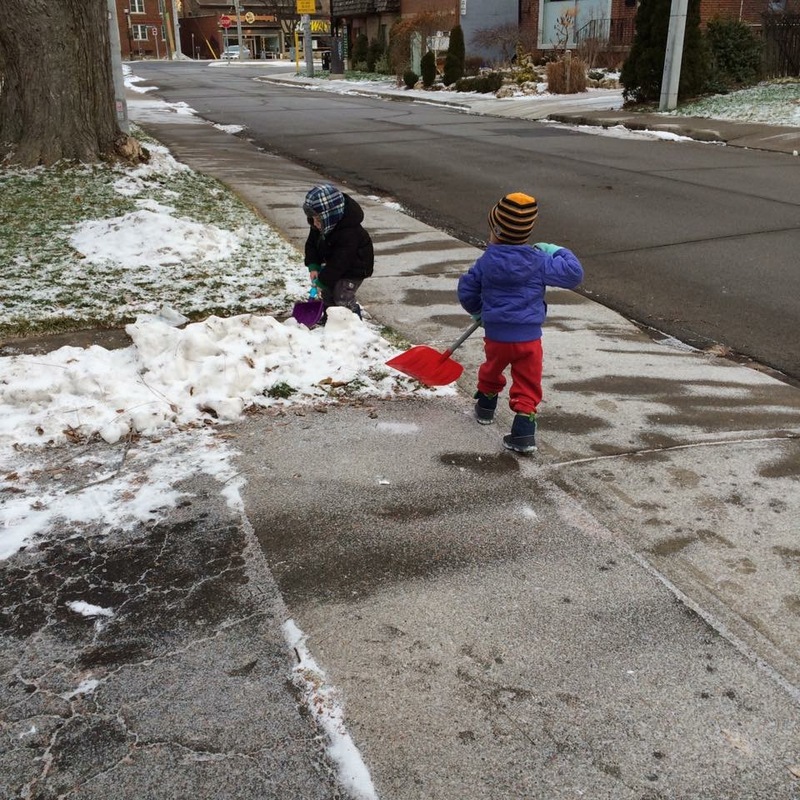 Enlist your toddler’s “help” in shovelling the snow off your driveway or sidewalk. 22. Give your toddler a few toys (shovel, rake, plastic tools, etc.) 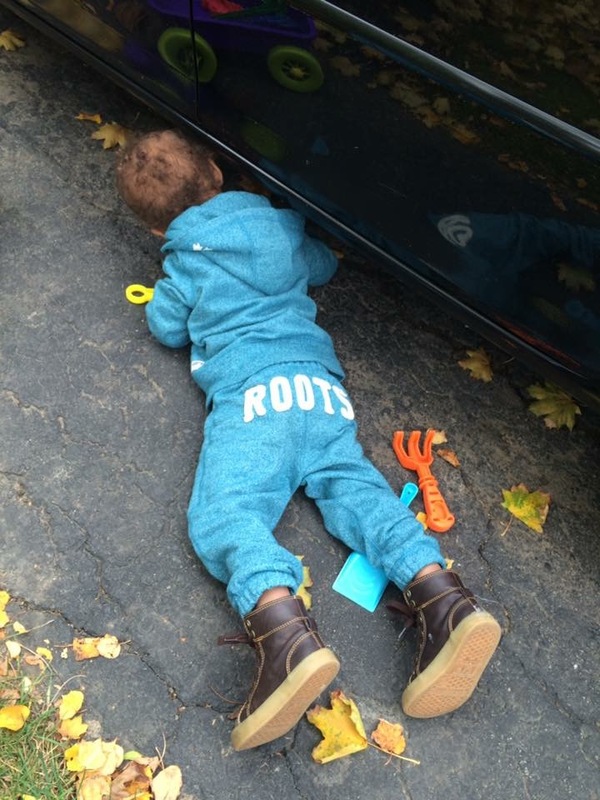 and ask for his helping with “fixing” your car. 23. 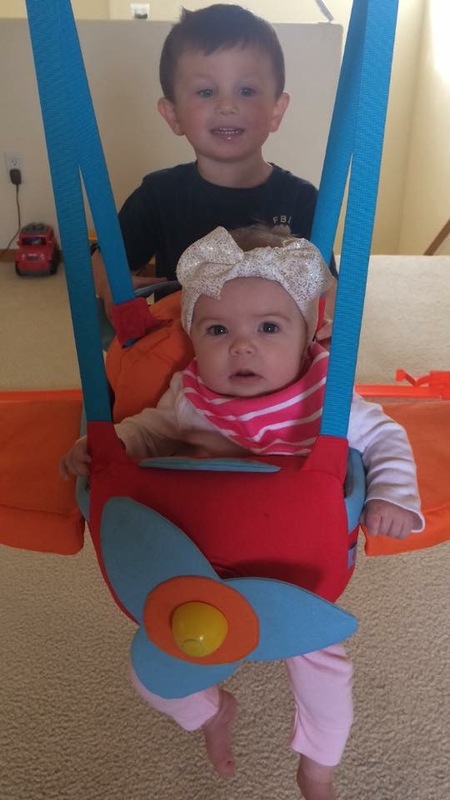 Set up an indoor or outdoor swing. Many high-energy babies and toddlers love the repetitive motion of swings, so this can be a lifesaver if you need to get something done. 24. If you’re feeling particularly industrious, make an activity cube. 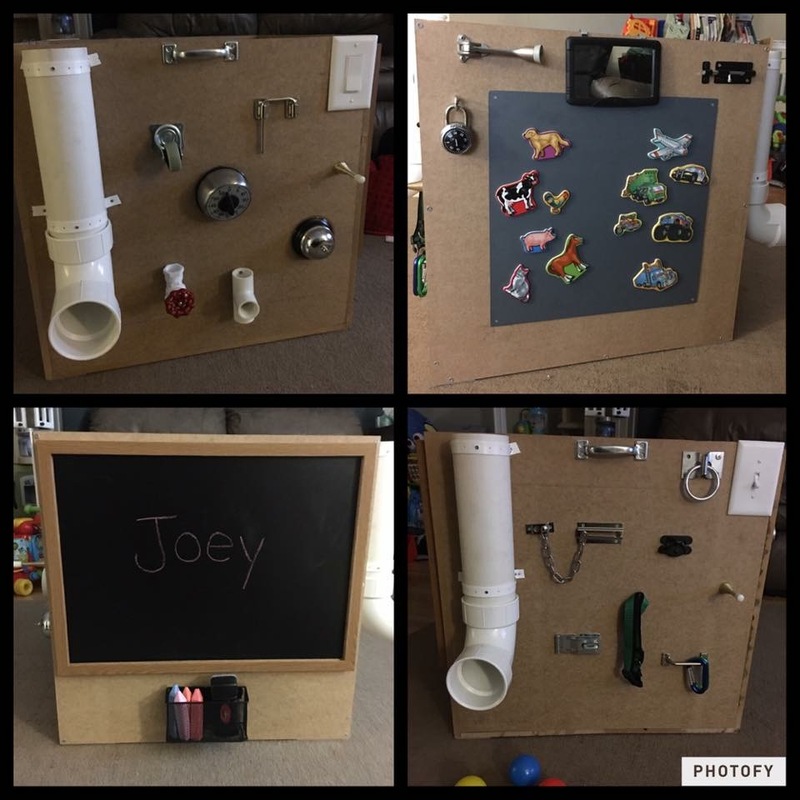 Some ideas include a magnetic sheet and magnets, a lock board, a chalkboard, etc. 25. Set down a sheet and build indoor snowmen! If you have snow outside, bring in actual snow, and use candy (m&m’s, candy corn, chocolate chips, etc.) to make buttons, eyes, etc. If not, you can also build them with marshmallows or shaved iced. 26. 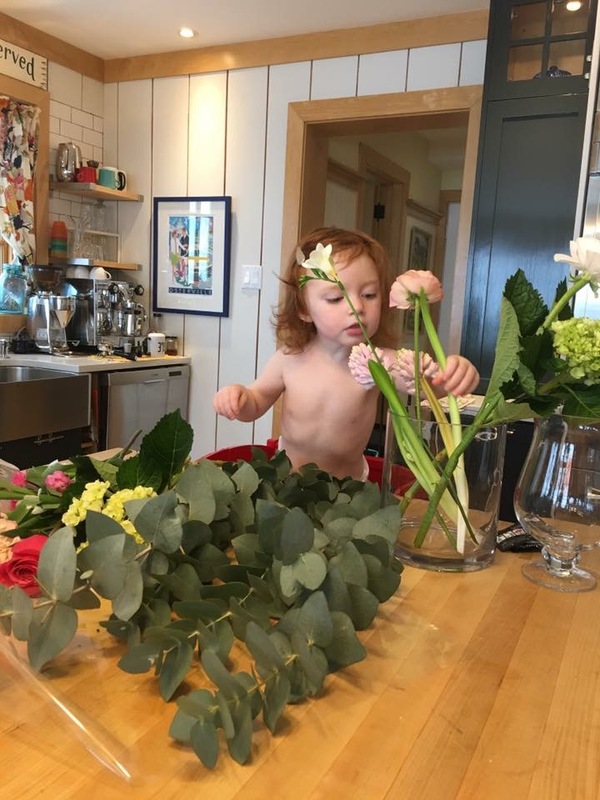 Prepare your toddler for a career as a flower arranger! If you don’t have flowers in your garden, you can use branches, sticks, grass, weeds or anything else you find growing outside. Let your child choose a vase, pour the water in, and then arrange the “flowers” as she sees fit. 27. Buy some window gels from the dollar store and let them have at it on the patio door. 28. Set out child-friendly clothespins (the ones that don’t snap shut violently on your fingers) and a bucket. 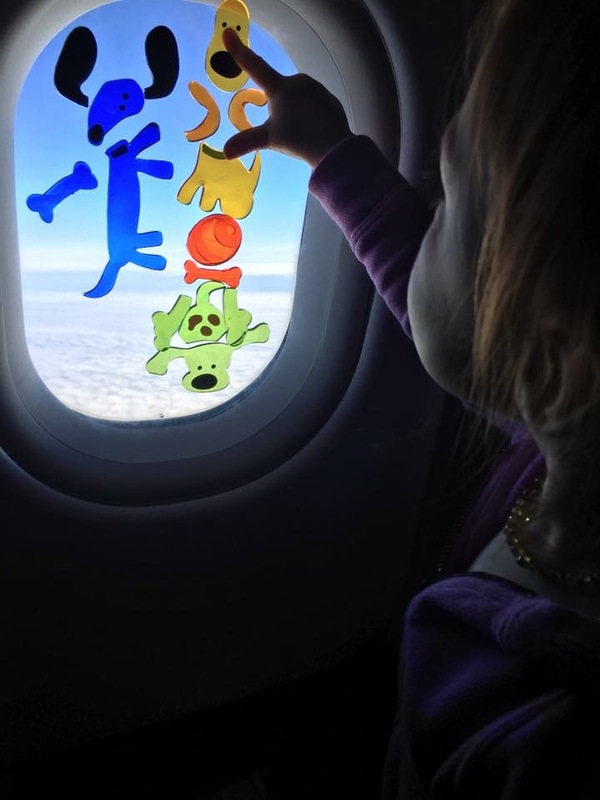 Encourage your toddler to “decorate” it with the pins. 29. 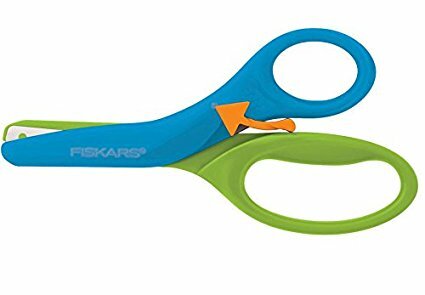 Give your toddler some preschool-training scissors and ask him to cut the grass. 30. 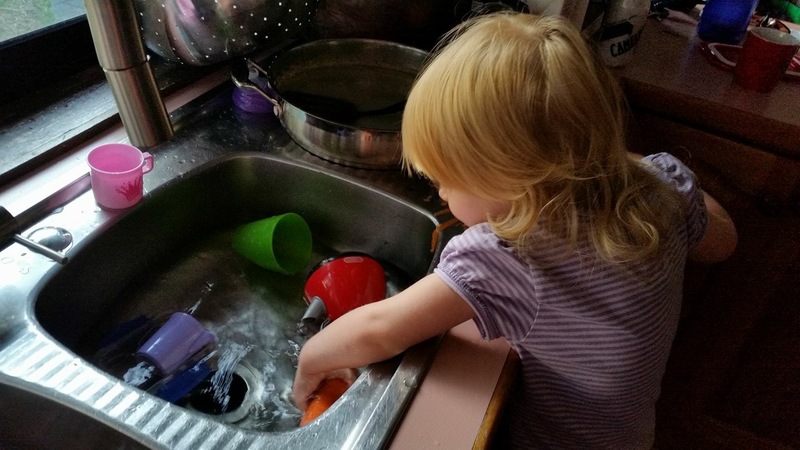 Ask your toddler to help you out by washing dishes or veggies while you make dinner. Need more hacks? 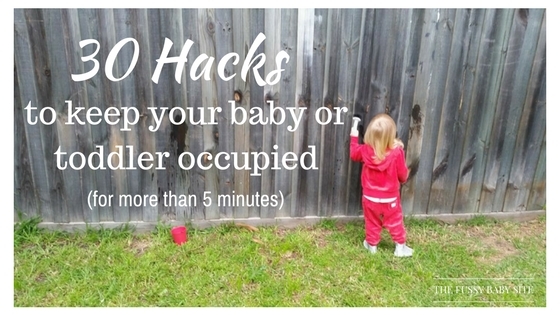 Check out my post 20 Genius Baby Hacks To Make Your Life Simpler.